Shamanic Astrology offers a window into your soul’s purpose and chosen lessons in this lifetime and past lifetimes. 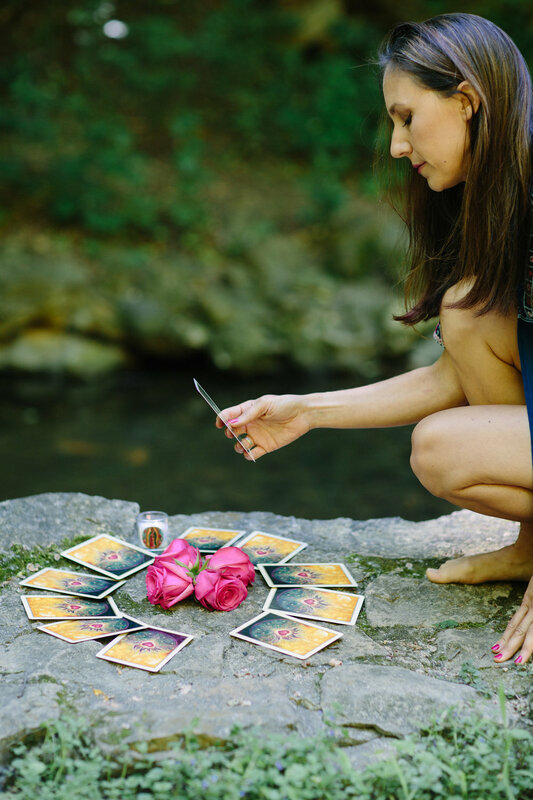 In this reading, we will identify two major themes of your past lives, your soul’s two major archetypal themes in this lifetime, and the nature of your inner feminine and masculine templates. This insight brings clarity of purpose, a deep remembering of your soul, and more courage to live out the truth of who you came to be. For this reading, you will need to provide your birth date, time and place, preferably when booking. 45-60 minutes. Suggest donation: $60. Flower Essence Therapy is a subtle yet profound energy healing system that works specifically on our emotional and psycho-spiritual bodies. 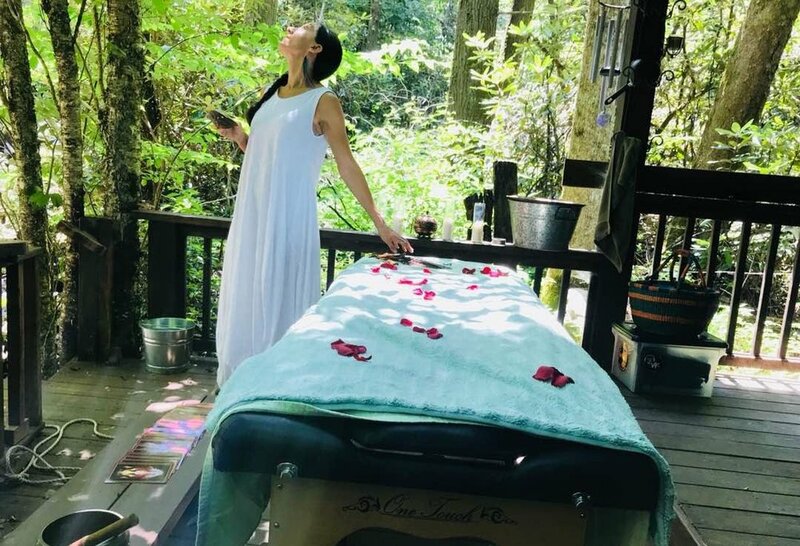 In this bodywork session, specific flower essences (energetic templates of healing given to us from the plant kingdom) are applied to the chakra system in order to facilitate greater soul embodiment, harmonize our energy and emotions, heal trauma, and promote wellbeing at a deep level. Sessions are done fully clothed on a massage table, and include guided breathing and visualization. Get support with a book project or how to use writing for personal transformation. In a personal writing session, Jaime can help you harness the written word to express the personal stories that matter most to you, as a powerful, potent, therapeutic tool of healing and growth. If it’s a book you want to write, Jaime will meet you where you are at in the process, whether that’s translating your idea into a concrete plan, clearing creative blocks, specific writing or editing support, and more. Qoya is many things: movement as metaphor, movement as medicine, a feminine embodied movement practice that combines yoga, creative dance, and sensual movement. It's a cross between your most epic wedding reception dance memories and the most profound spiritual transformation you've experienced. In Qoya we recognize that through movement, we Remember. We remember that our essence is Wise, Wild, and Free. This is an opportunity to slooooow down and come home to your true self. There are no levels in Qoya and no way you can do it wrong. The way you know you're doing it right is if it feels good and true in your body. See events calendar for offerings at the Sanctuary this summer.